DETROIT (JSC) — Greetings people. It’s another Thursday and after a crazy week, I’m back at you guys with another edition of #TBTonJSC. After last week where I blogged about my love for 80s TV Theme Songs — I still can’t get The Greatest American Hero out of my head — I’m staying in the 80s with this week’s check in. In the midst of shuttling through the various 80s themed gems I found myself cycling through old NBA Games and Intros from the 70s and 80s. 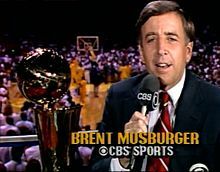 For the youngsters out there, for most of the 1970s all the way through the 80s and ending in 1990, the NBA was on CBS. All of the great moments of the greatest decade in NBA history were on the Eyeball Network. It wasn’t flashy. It wasn’t grandiose. It was just great basketball. With the NBA Playoffs at full peak, I think it’s appropriate to show love to the home of the NBA during my Childhood. You know, back when it was FANtastic. Let’s Go. As a kid, baseball was my first love. Anyone who knows me knows that I’m always gonna be baseball first. But as a kid, and really into my teens, a close second was the NBA. I was fortunate enough to grow up during the best decade the sport had ever seen. 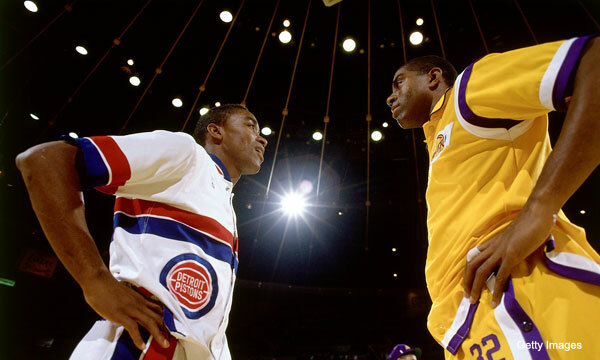 My favorite teams as a kid: The Detroit Pistons & the Los Angeles Lakers. Yep. Showtime & the Bad Boys. But I obviously rode with the Pistons harder than I did the Lake Show. My mom has been a Lakers fan since the 1960s (We’re talking about Jerry West, Elgin Baylor, Wilt, Gail Goodrich, etc.) so when Magic went from Michigan State to the Lakers, it was a dream come true. The game was different back then. It was far more physical, much more high scoring, and we didn’t have to worry about dudes dressing like they picked their wardrobe with a book of Mad Libs. One thing that was much different back then was the presentation. CBS didn’t have a big time pre-game show and there was no post game show. While no one will argue that TNT definitely gets it right in terms of their NBA Coverage — and during the 1990s, NBC did an awesome job with it as well — for its time, CBS did the damn thing. It captured the evolution of the league from its drug-addled 1970s tape-delayed dark-ages to the Magic-Bird Era leading the NBA to challenge Major League Baseball & The NFL for supremacy. Did CBS have the best in terms of Graphics and Presentation? No. But the games were so good that it didn’t need it. Have a great weekend, people. If you’re in Detroit or Chicago, PLEASE Stay Safe. Be sure to tell a friend about #JSC.